The last time we featured news about Newsarama on this site was way back in 2007, when Imaginova, Inc. purchased the website for a sum of $15 million.Â Today, TopTenREVIEWS announced it had acquired the Consumer Media Division of Imaginova, and with that acquisition goes Newsarama.com, Space.com, and LiveScience.com.Â No word on restructuring, or how much the division was purchased for, but hopefully Imaginova got their investment back on the deal. In other news, Major Spoilers is still owned by the site founder. TopTenREVIEWS today announced it has acquired the Consumer Media Division of Imaginova Inc., a privately held company based in New York City. 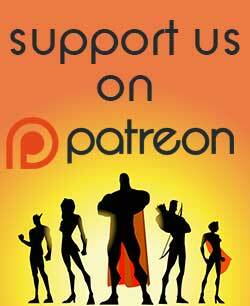 Included in the acquisition are Newsarama.com, Space.com, and LiveScience.com. As part of the ongoing expansion, TopTenREVIEWS has established the TechMediaNetwork to incorporate these properties, according to a statement released today. TopTenREVIEWS, the 4th largest technology news site according to September 2009 U.S. comScore Media Metrix data, joins Space.com, LiveScience and Newsarama as TechMediaNetwork properties, a network encompassing technology, science and entertainment. Combined, 12.2 million people visit TechMediaNetwork sites each month. TopTenREVIEWS is a privately held technology review Web site covering software, Web services, consumer electronics and entertainment, offering millions of reviews in more than 350 categories. With Space.com, LiveScience.com and Newsarama.com, TopTenREVIEWS expands its coverage to include news and information about technology, science and comic genre entertainment, in addition to content about purchasing the best technology and entertainment products. TopTenREVIEWS will expand its coverage of consumer reviews to include products and services related to the new properties. The sites, each brand leaders in their markets, will remain fundamentally the same. The science properties syndicate original content to the following news portals: Yahoo!, MSNBC, AOL, USA Today and FoxNews.com. TopTenREVIEWS will also continue the relationships Imaginova had with the scientific community, including the National Science Foundation (NSF) and the National Aeronautics and Space Administration (NASA), while expanding its technology and entertainment coverage. Space enthusiasts visit Space.com for compelling content about space science, astronomy and exploration news. Launched in 1999, Space.com has enjoyed the past management participation of several key space-related public figures. LiveScience.com is the leading source for groundbreaking developments in health, the environment and technology. It is the 2007 winner of the Online Journalism Award for Specialty Journalism among large Web sites, by the Online News Association (ONA). Known for its ability to convert often complex concepts into simple explanations, LiveScience attracts millions of visitors each month. Newsarama.com provides comprehensive coverage and commentary of comics and genre-related entertainment. It won the 2008 Eisner Award for Best Comics-Related Periodical/Journalism. Entertainment Weekly included Newsarama in its list of “100 Greatest Websites,” and the American Library Association lists it as a research resource in the field of comics. Founded in 2003, TopTenREVIEWS.com provides consumers with side-by-side product and pricing comparisons to help them research, shop and purchase technology and entertainment products and services. To fuel growth, TopTenREVIEWS received a Series A investment from venture capital firms Highway 12 Ventures and Village Ventures in June 2008. The investment in TopTenREVIEWS built on the success of the initially self-funded company’s vision to change the way consumers shop for technology and entertainment products and services by providing helpful, accurate and unbiased reviews and resources. The last time NEWS@RAMA got bought out, their layout changed to the point where I couldn’t be bothered to navigate it. It’s not all bad though. 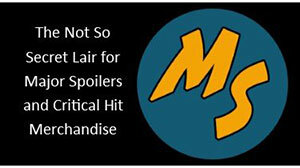 Because of that sad state of affairs, Major Spoilers became my primary comic news site, and I don’t regret it a bit. It’s not going to change the fact that the vast majority of Newsarama posters are near-illiterate idiots, Supermanboy-Prime-type Angryholics, or maniacs creepily obsessed with obscure and unlikeable characters. Itâ€™s not going to change the fact that the vast majority of Newsarama posters are near-illiterate idiots, Supermanboy-Prime-type Angryholics, or maniacs creepily obsessed with obscure and unlikeable characters. That’s right. 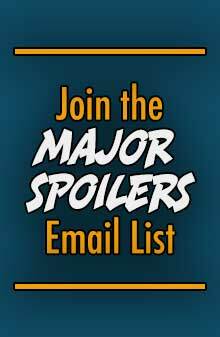 At Major Spoilers, we cover those bases with our writers, leaving more room for pertinent thought from our Faithful Spoilerites! And don’t we love you for it.